Need some fun and easy ideas for an Angry Birds party? Look no further! 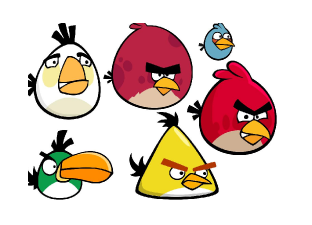 We’ve just added the Angry Birds theme to our long list of party idea pages. You’ll find great ideas that are budget friendly! 7 Angry Birds party games to choose from – mix and match or try to do them all during the party! And great ideas for invitations, decorations, party food, activities, icebreakers, goody bags and party favors. We’ve also located some great links for FREE Angry Bird, Pig and TNT printables. Stop by the website and you’ll also find pages and pages full of birthday party games for boys and girls, tween party ideas, FREE scavenger hunt lists and lots of great ideas that will make your next party extra special!! Birthday Party Ideas 4 Kids …. your resource for great party planning! !